President Rodrigo Duterte will begin a three-day visit to Tokyo today to discuss infrastructure projects, aid and “peace and security in the region”. 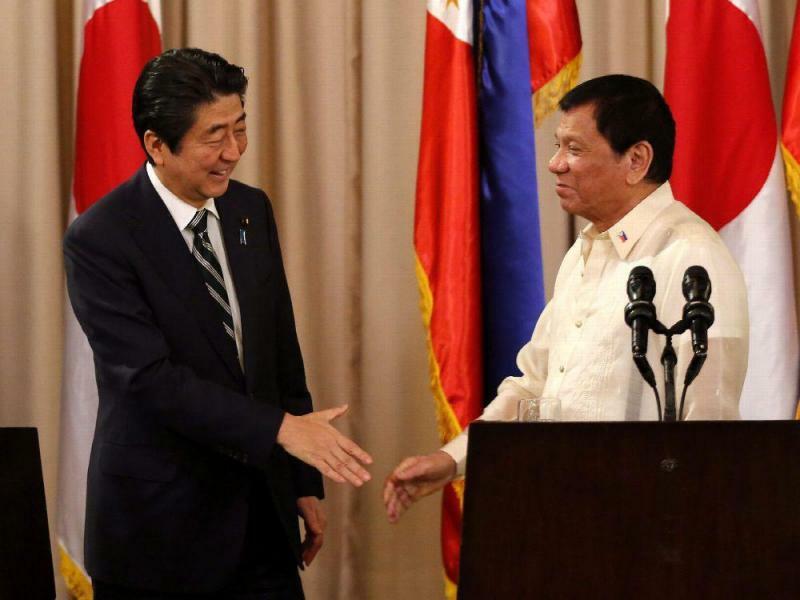 Mr Duterte’s first trip last year secured $43 million in loans from PM Shinzo Abe—who welcomes support against North Korea, but also wants to limit Chinese expansion in the South China Sea. He reassured Japan that there is no military alliance between the Philippines and China. Japan has pledged $8 billion over the next 5 years. This year, after initially asking for patience, President Duterte became an outspoken critic of North Korea’s Kim Jong Un. This is contrasted with his softer stance on China, which has pledged $24 billion in aid and deals to Manila. Mr Duterte says there is “no urgency” to challenge Beijing’s interests in the disputed seas. On this trip, expect Duterte to criticise Pyongyang, but remain passive about combatting Chinese incursions in the South China Sea. This may be good enough for recently re-elected PM Abe, who won on a wave of anti-North Korea sentiment.